Your child is celebrating one more year! How exciting! Long are the days of pictures with stiff children at parties, group pictures with everyone smiling, a huge fake smile embracing auntie’s gift or posing next to the cake without touching it. This is not what childrens’ parties are all about although we all have those kind of pictures in our childhood photography albums. As a documentary family photographer, here are my 10 tips for photographing your children parties and capture those very special days as real and as beautiful as they can be. You have spent hours thinking about colors, a theme, and all the little details for the party. Don’t forget to capture them. The cake and any other little tabletop decorations should be photographed. Having these images is also a nice way to add visual interest to a photo book or a keepsake from the party. I recommend spending a few minutes capturing these details before your guests arrive. Take some time to walk around and observe the party. Your guests are there to help you celebrate. Step back and capture unplanned moments. This is also a great time to get some portraits of your little one’s friends. A cute idea would be to include pictures from the party when you send out thank you notes. Don’t forget to get in the middle of the fun and capture those happy expressions. If you hired an entertainer try to know in advance what it is going to happen so you can anticipate some reactions and capture them too. This is the finale to your party. Birthday cake is the best! Don’t forget to get all the detail shots before singing Happy Birthday to your little one. I adore everyone gathering around and singing Happy Birthday. If you can, pass the camera along to a friend or family member. This can be a great time to get a family shot. It’s fun to catch the ‘making a wish’ moment, and blowing out the candles. Most toddlers don’t understand the concept yet but that won’t stop its loved ones from wishing for their children instead. Oh, there is nothing cuter than a little one digging their hands into the cake and frosting. In the UK parents organize a little party bag for guests to take home, usually with little toys and sweets. These toys are ephemeral but the packaging can be everything. Goodbyes are the opportunity to capture the last few interactions before everyone goes home. Then, although dealing with the party mess is never particularly fun, it can still be a great idea to photograph the aftermath. Before cleaning up you have the chance to walk around and see if there are any photos that would help tell the story of how the day went. Even if you forget to capture all the shots described above, you must remember to hand over your camera and get in the picture with your birthday child! It can be exhausting to entertain your guests and make sure your child is having a fun time. 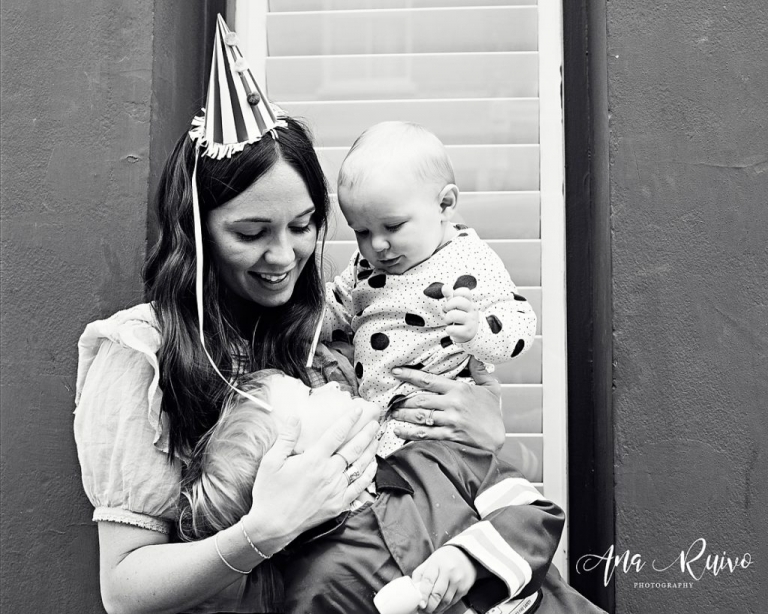 You’ll want the photos to capture that special day forever but it is even more important that you enjoy your child’s birthday and forget everything else so the best tip is to hire a profession photographer (and be in the pictures too!). If you are celebrating a birthday soon and you want it documented, or if you have any questions, please drop me a note – I’d love to continue the conversation.